It’s officially Spring and many of you may be witnessing what some refer to as ‘yellow season’, the season of pollen dusting everything in it’s wake and wreaking havoc on our bodies. I’m reminded of one of the original bannock recipes, eaten by First Nations peoples, calling for cattail pollen, which grows in abundance for only a short few days in the spring. It’s one of the few examples of a pre-agrarian food that is comprised of tiny microparticles, and given its sticky, heavy properties, it’s probably a good thing that this special treat wasn’t available too often. 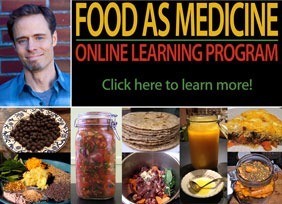 In my book Food As Medicine, I make reference to research, which shows that a diet high in microparticles plays a role in gastrointestinal inflammation, which itself is a causative factor in the development of allergies and autoimmune disease. Of course, I don’t think that cattail bannock as a rare treat is the issue, but considering how high our diet is in microparticles, from highly refined flour products to additives such as titanium dioxide and mixed silicates, it’s no surprise that our immune systems are a little hyper-reactive. There’s been a nasty cold going around as of late as well, and it seems like its one of those that seems to hang on. If that’s your experience, you might want to look at my post on how to properly deal with cold and flu. If you’re in the PNW, I expect that the high pollen count here has something to do with it, so you might also want to review my other post on the treatment of hay fever too. But if we want the high level perspective, we need to remember that spring is naturally a time of inertia and congestion. In Āyurveda, spring in northern temperate regions is associated with an increase in kapha, the aspect of the body that relates to its nourishment and structure, expressing the qualities of heavy, wet, stable, greasy, and cold. With the increasing presence of the sun during spring, the snow turning rain as the temperature begins to thaw, the primeval qualities of light, warmth and moisture initiates a gradual re-awakening of life. But this transition requires a break-through, a crisis, like a seedling which must take the risk and consume all its energy, to burst forth and penetrate through the heavy, dark soil to meet with the nourishing light of the sun. Some plants, like the Western Anenome (Anenome occidentalis), don’t even wait for the snow to melt before sprouting, rising up against all odds to commune with the meek rays of the early spring sun. 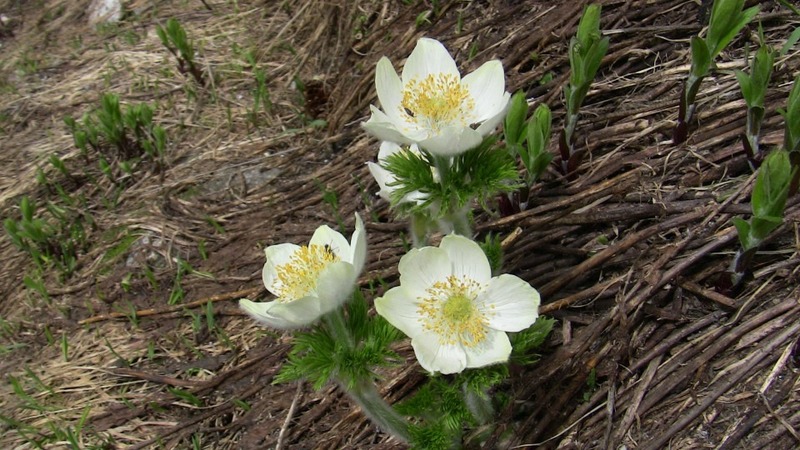 It is perhaps no surprise that this plant is used medicinally (as the fresh plant tincture) – in small doses – to help reduce anxiety, ground and connect, particularly during difficult transitions. The solution for this of course, is found in the natural world. Like the struggle of the seedling, we need to marshal our energy and challenge ourselves to increase our physical activity. Exercise (vyāyāma) is an especially important practice in Āyurveda during spring, helping to decongest and expel the accumulated kapha, opening and clearing the channels of the body to sharpen and fine tune metabolic activities. 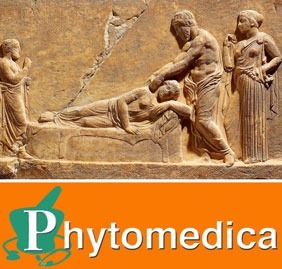 Consider that from a physiological perspective, the only way to pump lymphatic wastes out of the tissues is through the regular contraction and expansion of skeletal muscle. Consider as well, all the research demonstrating that a lack of exercise impairs mitochondrial function, and increases insulin resistance in muscles, and along with this, an increase in the risk of diabetes, cancer, and cardiovascular disease. In this way, all these diseases are related to kapha and a state of excess nutrition, which when paired with the qualities of inertia, brings about ill health and disease. It is for this reason that Āyurveda articulates ṛtucaryā – the seasonal regimen – as a preventative strategy that provides the foreknowledge of how to best cope and adapt to the different seasons, as well as their transitions. Thus the doctrine of ṛtucaryā tells us that when the kapha that accumulates over winter begins to ‘melt’ and flood the body during spring, just as a landowner clears the dry streams and creek beds of debris in preparation for the spring run-off, so too should the eliminative faculties of the body be prepared. The traditional practice in many cultures of a spring cleanse is an example of such a measure, best implemented just before the season has completely transitioned from winter to spring. 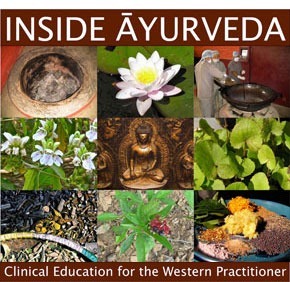 In Āyurveda, a specialized technique called vamana (emetic therapy) is usually considered to be the most effective technique to reduce kapha, but other techniques such as virecana (purgation), vasti (enema), and nasya (errhines) may also be used. A simplified approach might consist of a course of kapha-reducing herbs such as Śuṇṭhī (ginger) rhizome, Pippalī (long pepper) fruit, and Dāruharidrā (barberry) root, taken with honey for 2-3 weeks. With regard to diet, light and easily digestible cereals such as barley, millet, amaranth and quinoa can be emphasized to reduce kapha, rather than heavier cereals such as wheat, rice, and oat. Meat with a light property such as goat, lamb, poultry and rabbit are appropriate to balance kapha, whereas heavier meats such as pork, beef, and duck should be limited. The emergent “green” energy of spring is particularly well-represented by the leafy green vegetables and shoots available at this time, consumed along with spicy herbs such as black pepper, ginger, mustard, and fenugreek. Many of the local herbs that are just starting to emerge, such as chickweed, dandelion, and nettle, all have a natural kapha-reducing activity, and are an excellent choice to prevent the congestion that frequently occurs with this seasonal transition. 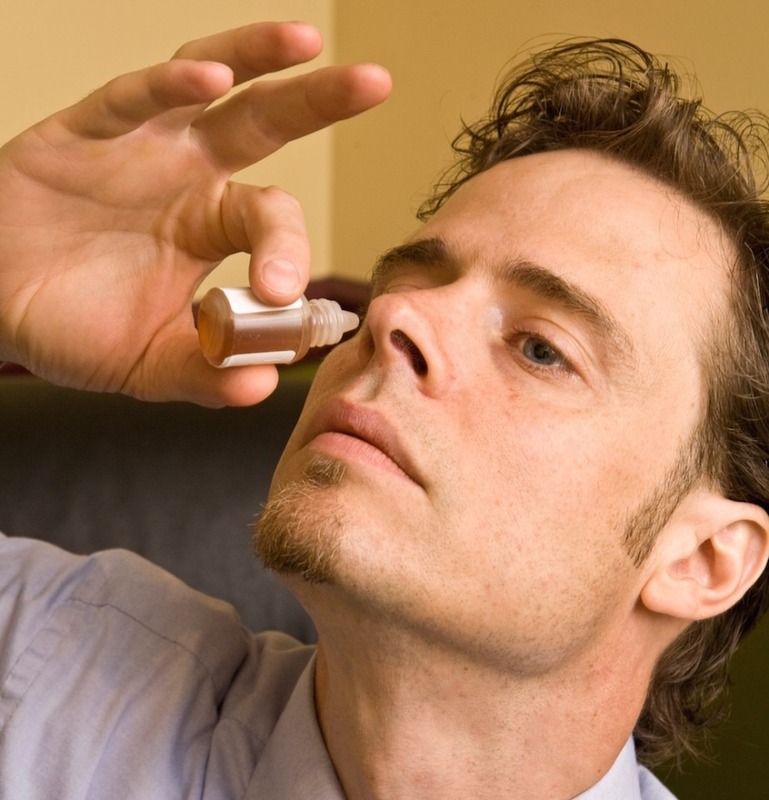 As part of the kapha-reducing regimen mentioned above, I referred to a technique called nasya, which can be utilized to cleanse the nostrils, nasal cavity, sinuses and nasopharynx. Among the most commonly used preparations for nasya is either a plain sesame oil, or medicated oils such as Aṇu taila, two to three drops instilled into each nostril and inhaled back into the nasopharynx. Although it is oily (snigdha), another property of sesame oil is that it is tikṣṇa (‘sharp’), and when instilled into the nose, promotes a sensation of mild irritation followed by the liquefaction of kapha. This results in the draining of formerly congested mucus, which can then be expectorated out through the mouth. This type of nasya can be performed by most people, but is contraindicated in acute conditions of the nasopharynx, such as in a cold, fever or flu. For acute sinus congestion, two to three drops of a preparation made from equal parts Ārdraka (fresh ginger) rhizome juice, honey, and water can be instilled and inhaled into the nasopharynx. This medication is particularly effective to drain the sinuses and relieve pressure, and can be a godsend when you have an awful sinus headache. If you have particularly sensitive mucus membranes, however, you might coat the inside of your nostrils with a little bit of ghee first, before applying this remedy, in order to protect them.